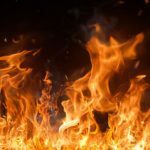 Regardless of the cause or where they happen, fires can lead to devastating damage in a home or building but the extent and nature of the damage may vary from case to case. Knowing the cause of the fire as well as the extent of the damage helps professionals determine the best method of fire damage restoration in each case. 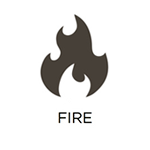 RestorationMaster provides fire damage restoration services in Mentor, OH to help restore and repair homes and businesses that have been damaged in a fire. Our advanced cleaning products and equipment help us effectively restore fire and smoke damage but it is important to call for fire damage restoration immediately after the fire is extinguished because soot and corrosive byproducts can cause the damage to keep spreading and eventually become permanent. 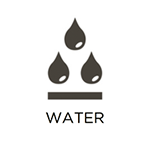 The most common type of damage in a home or building is water damage because there are many potential causes including rain, floods, leaky fixtures, burst pipes, and sewage backups to name a few. Reacting quickly to restore water damage is important because porous building materials allow excess water and moisture to spread which can lead to extensive structural damage, electrical issues, and mold or bacteria growth. RestorationMaster provides water damage restoration services for homes and businesses in Mentor, OH to remove excess water and repair or restore the resulting damage. Our specialty drying equipment allows us to effectively remove excess water and moisture from the building and we are the only water damage restoration professionals in Northeast Ohio that also restore the damage with our reconstruction services. Mold is a difficult problem to deal with because it can grow almost anywhere with the right conditions and once it starts growing, professional services are required for safe and effective removal. 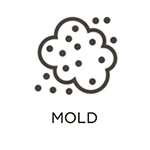 Ignoring mold growth can lead to extensive structural damage as mold has been known to completely destroy household surfaces such as wood and drywall and it can also lead to adverse health effects from mold exposure such as allergies and infection. Hiring a professional to remove mold growth is the best option and RestorationMaster provides mold remediation services for homes and businesses in Mentor, OH. We will respond quickly to help limit the spread of the mold and we can repair or replace damaged surfaces once the mold has been removed. It is very difficult to encounter a scene in which a violent crime or serious accident has taken place but it is important to protect your safety in such a situation and call the proper authorities. These scenes often contain biohazard materials such as blood and bodily fluids that are dangerous to clean up without the proper training, requiring the services of a specialized professional. RestorationMaster provides trauma and crime scene cleaning services to clean up and restore scenes of violent crimes or accidents in Mentor, OH. We can safely and effectively remove all types of biohazard materials and our technicians work with a sense of compassion and respect for the emotions and privacy of those affected by the tragedy. 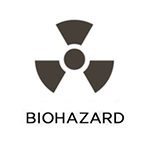 Biohazard materials can be found in a variety of scenarios and they require a certified professional to clean them up because mishandling them could spread infection or disease. There are a wide range of biohazard materials such as blood, bodily fluids, bacteria, sewage, and mold and they each contain viruses and other harmful substances that must be cleaned up properly. RestorationMaster provides biohazard cleaning services in Mentor, OH to clean up and remove any biohazard materials. We can effectively disinfect the scene once the biohazard materials are removed and we take a compassionate approach in situations involving a serious injury or death. Blood is encountered more than most bodily fluids and regardless of the amount of blood, it is best to have a certified professional clean it up. Harmful toxins such as bacteria and viruses may be found in blood and if it is not cleaned up properly, there is a much greater risk for spreading infection or disease. RestorationMaster provides blood cleaning services in Mentor, OH to clean up blood from the scene of a major injury or death. We can safely and effectively remove blood using advanced cleaning equipment and we will also restore the scene to a safe condition. Our homes are not the only places that can be damaged by a disaster; water damage, fires, and mold growth can also occur in public and commercial buildings. It is important to take action immediately after a disaster in a commercial building because the damage can spread to threaten the safety of customers and employees as well as interrupt your daily business activities. RestorationMaster provides commercial restoration services for businesses in Mentor, OH to repair and restore property damage caused by a disaster. We can provide effective restoration services in any commercial setting and we also provide air testing to ensure that the air quality of the building is restored to safe living and working conditions. Our quick response will help minimize the damage to your property and we provide fast written estimates to begin the restoration process as soon as possible. Northeast Ohio is no stranger to severe weather as the area regularly experiences rain, wind, thunderstorms, blizzards, and occasionally flooding, ice storms, and tornadoes. 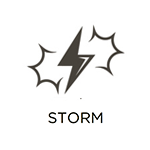 These storms can each cause significant property damage as rain and flooding increase the risk for water damage while strong winds and snow can compromise the structural integrity of a home. RestorationMaster provides storm damage restoration services to help homes and businesses in Mentor, OH that have been affected by a severe storm. We can effectively stabilize the building to avoid further structural damage as well as repair and restore the home to its previous condition.